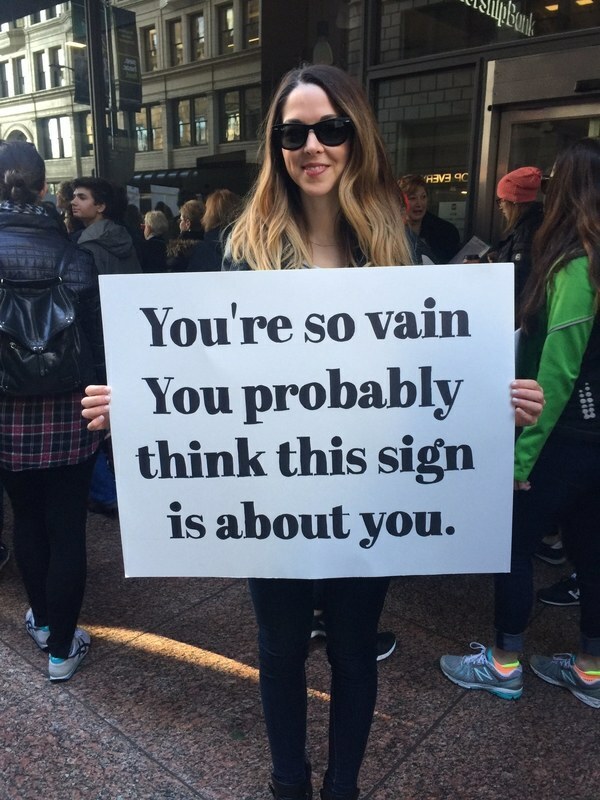 Not exactly a surprise. Supply-side “solutions” used to justify tax breaks for corporations and the wealthy have never resulted in anything other than recession. Roubini explains his analysis more clearly and thoroughly than I might. Watch the video. Bloomberg has blocked linking directly; but, you can click through to YouTube. Yes, Roubini’s a conservative economist. In this instance, his prediction of doom and gloom is founded on the track record of Republicans who try this every decade or so – and fail each time. ❝ A House committee has earned a rare bipartisan round of applause for beginning to roll back the US president’s ability to wage war. ❝ The House Appropriations Committee recently approved an amendment to revoke the Authorization for Use of Military Force, which allows the president to undertake war against al-Qaeda and its affiliates without Congressional approval. The law, passed shortly after the terrorist attacks of 11 September, 2001, has been used to approve conflicts in Afghanistan, Iraq, and Syria. 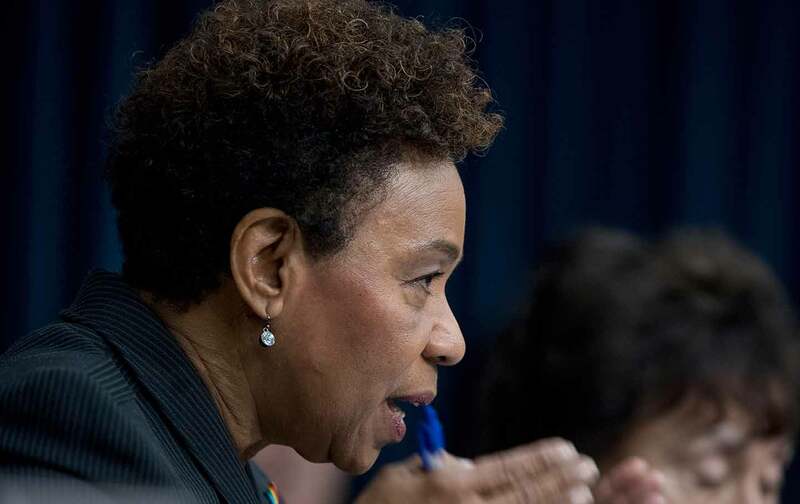 The new amendment, introduced by Democratic Representative Barbara Lee, would sunset these presidential powers eight weeks after Congress passes the 2018 defence spending budget. The appropriations committee has sent the budget to the House floor for a vote. ❝ A visibly surprised Ms Lee welcomed the addition of the amendment on Thursday, condemning the AUMF as “a blank check to wage war anywhere, at any time, and for any length”. Members of Congress were falling over each other to pass this bill in 2001 – excepting Barbara Lee, the sole vote against its passage. She understood and declared the foolishness of a bill so broad and unchecked it would be used [and was] by any president for any war they wished for. I wish her well trying to shepherd her sanity through the rest of a Congress notable for cowardice and capitulation to religion, bigotry and corporate pimps. I compliment the members of the House Appropriations Committee for doing exactly what they are chartered to do. ❝ By exempting National Security Letters (and potentially FISA court orders) from their media guidelines, the Justice Department makes a mockery of the supposed restrictions. Because almost every leak investigation involving the media involves national security, the FBI and DOJ can simply use NSLs to freely get much of the information they would otherwise need to comply with strict rules to get — all in complete secrecy and without any oversight. Our government and its alphabet soup of spies simply rewrite their way around constitutional protections every time they are caught snooping illegally. True – a lot a of this corruption started with the Bush Administration’s so-called Patriot Act. National Security Letters containing gag orders are a particularly malevolent police state tool. You can’t tell anyone you’re even being investigated or contacted. But, the Obama Administration hasn’t changed the rules regardless of their public chatter about a return to constitutional law. On September 9, 2002, as the George W. Bush administration was launching its campaign to invade Iraq, a classified report landed on the desk of the chairman of the Joint Chiefs of Staff. It came from Defense Secretary Donald Rumsfeld, and it carried an ominous note. The rationale for the invasion has long since been discredited, but the JCS report, now declassified, which a former Bush administration official forwarded in December, nevertheless has implications for both sides in the 2016 presidential race, in particular the GOP candidates who are relying for foreign policy advice on some of the architects of the war, and the Democratic front-runner, who once again is coming under fire from her primary opponent for supporting the invasion. For these two sets of reasons RTFA. Corrupt policies are repeated many times in the history of our nation because an ignorant electorate may as well be uncaring. We trust too much, too often, in the truthfulness of elected and appointed officials. Often, in more than one administration supposedly in principled opposition. A loose network of 4,556 individuals with overlapping ties to 164 organizations do the most to dispute climate change in the U.S., according to a paper published today in Nature Climate Change. ExxonMobil and the family foundations controlled by Charles and David Koch emerge as the most significant sources of funding for these skeptics. As a two-week United Nations climate summit begins today in Paris, it’s striking to notice that a similarly vast infrastructure of denial isn’t found in any other nation. The role of ExxonMobil and the Kochs in influencing climate denial hadn’t been empirically studied before now, according to Justin Farrell, an assistant professor of sociology at the Yale School of Forestry & Environmental Studies and the author of the new paper. He said the flow of money from group to group and person to person is often opaque to researchers. ExxonMobil has maintained for years that it does not fund denial of climate change. A spokesman pointed out that the company’s $100 million founding commitment to Stanford University’s Global Climate & Energy Project was made in 2002, right in the middle of the period covered by the Nature Climate Change study. Representatives for any of the Koch family foundations could not be reached for comment. Farrell said he focused on ExxonMobil and the Koch foundations because “they are reliable indicators of a much larger effort of corporate lobbying in the climate change counter-movement.” He examined Internal Revenue Service data showing which groups in the network of climate contrarians accepted funding from ExxonMobil or Koch foundations between 1993 and 2013. Recipients from those two sources tend to occupy central nodes in what he calls a “contrarian network.” Groups funded by ExxonMobil or the Kochs “have greater influence over flows of resources, communication, and the production of contrarian information,” Farrell wrote. You can read more about this study – and more – at Bloomberg. NSA prepares for cyberwar. Their cyberwar. According to top secret documents from the archive of NSA whistleblower Edward Snowden seen exclusively by SPIEGEL, they are planning for wars of the future in which the Internet will play a critical role, with the aim of being able to use the net to paralyze computer networks and, by doing so, potentially all the infrastructure they control, including power and water supplies, factories, airports or the flow of money. The US Army, Navy, Marines and Air Force have already established their own cyber forces, but it is the NSA, also officially a military agency, that is taking the lead. It’s no coincidence that the director of the NSA also serves as the head of the US Cyber Command. The country’s leading data spy, Admiral Michael Rogers, is also its chief cyber wagrrior and his close to 40,000 employees are responsible for both digital spying and destructive network attacks. From a military perspective, surveillance of the Internet is merely “Phase 0” in the US digital war strategy. Internal NSA documents indicate that it is the prerequisite for everything that follows. They show that the aim of the surveillance is to detect vulnerabilities in enemy systems. Once “stealthy implants” have been placed to infiltrate enemy systems, thus allowing “permanent accesses,” then Phase Three has been achieved — a phase headed by the word “dominate” in the documents. This enables them to “control/destroy critical systems & networks at will through pre-positioned accesses (laid in Phase 0).” Critical infrastructure is considered by the agency to be anything that is important in keeping a society running: energy, communications and transportation. The internal documents state that the ultimate goal is “real time controlled escalation”. But, our Commander-in-Chief says that United States is a victim of constant assaults. We muct prepare for cyber warfare. We must obey. Meanwhile, like every other aspect of the most militarized imperial economy in the history of our world – the United States dedicates more energy, funds and propoganda to our own assault on privacy than the sum of the rest of the world. No doubt. RTFA. Lots of detail. A strong piece of research based – once again – on the crimes committed in our name, for our “defense” by politicians and their wooden-hearted puppets. Edward Snowden has strongly defended citizens’ rights to encrypt their messages, and has taught journalists how to use encryption to protect themselves from spying programs. But the NSA whistleblower sees a downside to encrypting so much information: aliens may not be able to spot signs of intelligent life. Snowden, appearing on Neil deGrasse Tyson’s StarTalk podcast via a video link from Moscow on Sept. 18, told the astrophysicist how encryption could interfere in our attempts at alien communication. Done properly, encrypted communication—encoded so that only the intended recipient can read the information—can’t be identified and is indistinguishable from random behavior, Snowden said. Although as Tyson noted on his podcast, alien species might not be so keen on encryption. “Only if they have the same security problems as us,” he told Snowden. You might hope that some other species with sufficient advancement in science to track down our wee ball of mud in the night sky – might also have moved to social development more reliant upon science and less dependent on superstition and imperial amorality. And may have grown beyond our need for encryption. Nearly 10 years after Hurricane Katrina overran New Orleans, the city is still recovering from a disaster that was as much human-caused as natural. After the response to Katrina proved to be its own kind of unmitigated disaster, the Bush administration attempted to shift some of the blame to local and state officials — particularly Louisiana Gov. Kathleen Blanco. Some media outlets, going by information from administration officials, claimed Blanco didn’t declare a state of emergency. In fact, Horne noted in the Washington Post, Blanco declared a state of emergency on August 26 — a day before Mississippi and the White House did, and three days before the storm made landfall. 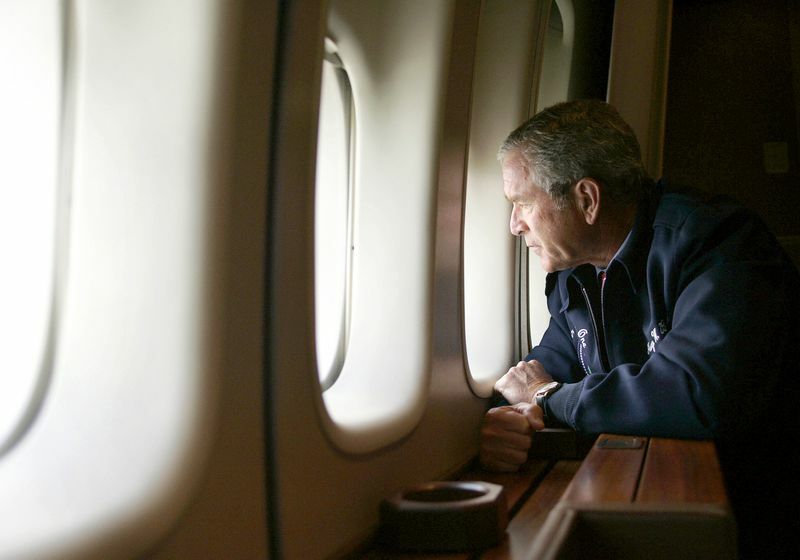 And while President George W. Bush vacationed in Texas as the storm hit, Blanco pleaded for the administration to send more aid. At one point, the Louisiana National Guard asked FEMA for 700 buses — but, days later, the agency sent only 100, and it took a week to evacuate flood survivors. RTFA for more of what you might guess. Between bureaucrats who just don’t do their homework to politicians who govern by ideology rather than evidence-based solutions, we get screwed. Add in the opportunist and cowardly complicity of a Free Press in a Free World that defines itself as entertainment – instead of living up to constitutional mandates – and we get screwed in spades.